Wondering what Korean food tastes like? Check out the special menu at Busaba in Colaba, Mumbai, to understand how it's interesting and satisfying for both vegetarians as well as meat eaters. Busaba has been my go-to restaurant for Mumbai's best momos and comforting Burmese Kaukswe ever since it first opened in 2001. The city's first pan-Asian standalone restaurant made waves then and, even after all these years, is still innovating and expanding its repertoire instead of merely resting on past laurels. 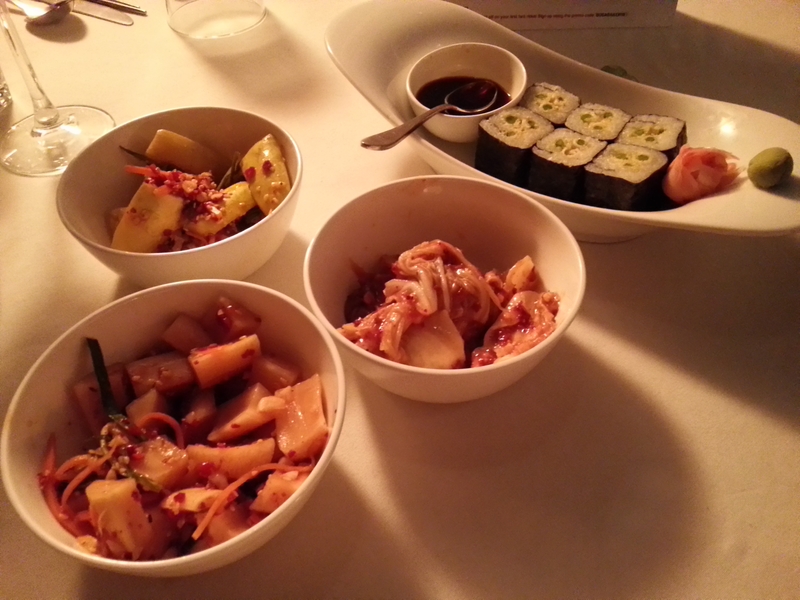 Now, I've been aware of the Korean dishes on the menu, have even tried them on a few occasions. But they were never my main focus, just fuzzy shapes in a picture where the Kaukswe held centrestage. Luckily for me, charismatic Chef/Owner Nikhil Chib took me through his all-new Korean Tasting Menu and made me realise how many fantastic options I had been missing! Traditionally, a tasting menu like this is called a Junsik and is taken most seriously in Korea as a form of dining where you are served a variety of small plates all at once. And now here I am, dishing out a dish-by-dish account of the Junsik menu to help you choose when you try it out for yourself... Remember, the portions you see in my pictures are served sharing style, while what you will be served will probably be little personal plates. 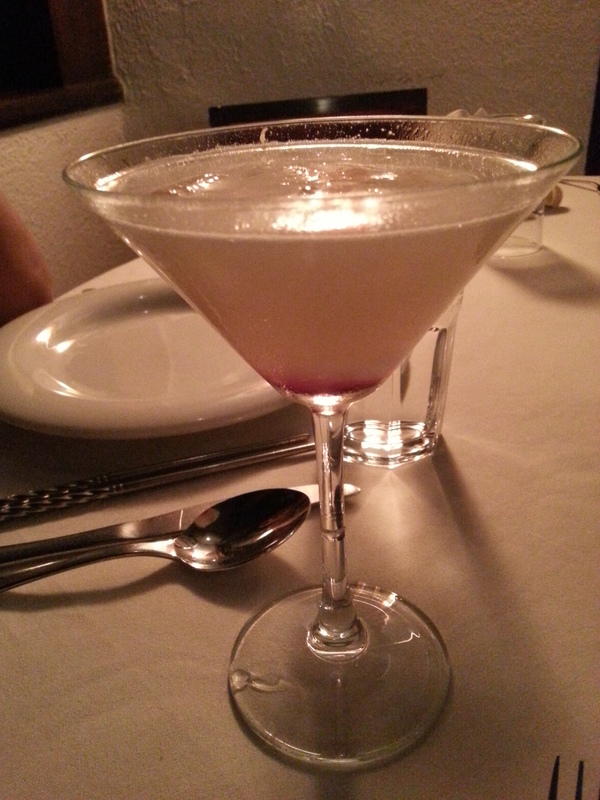 I'm welcomed with a lip-smackingly good Litchi Soju-tini. The refreshing cocktail is made with soju (Korea's most popular alcoholic drink, which is usually consumed neat), vanilla vodka and litchi juice. On the table is a selection of kimchi, something Busaba has been doing to perfection for years (all the Korean expats swear by it too!). The spicy-sour fermented flavours with radish, cucumber or cabbage make for the right contrast to the sweetness of the drink. Nikhil explains how this ostensibly simple dish actually takes a lot of time and technique. 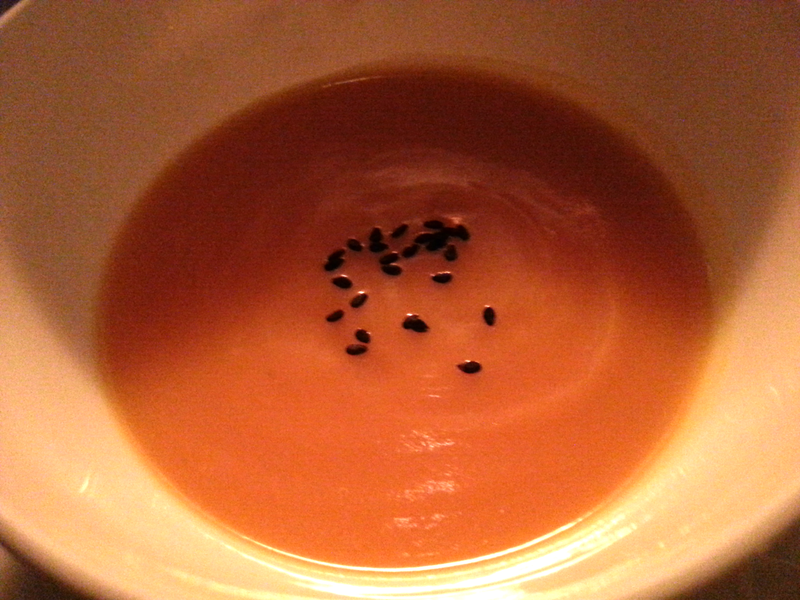 I wash these down with this chilled Pumpkin Soup, thick and creamy, that's served next. 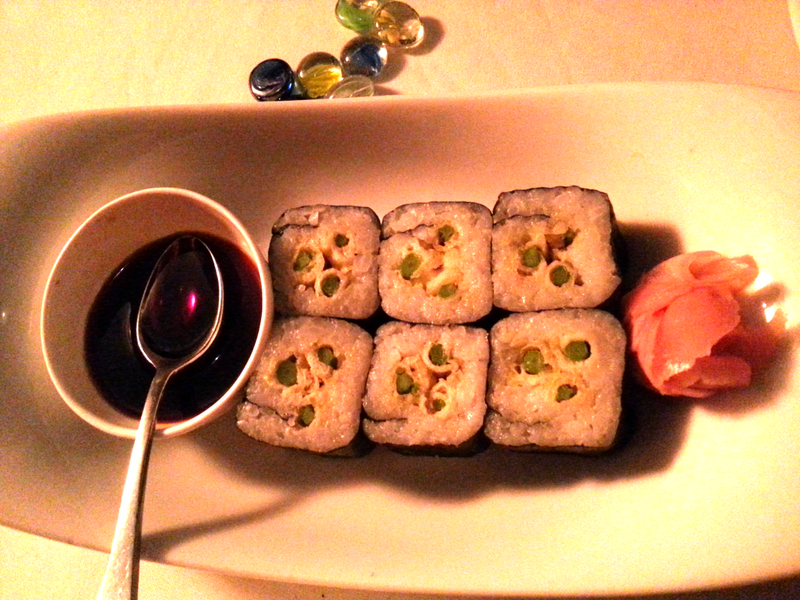 The Ghimbap arrives, it's slightly larger sushi than Japanese Maki rolls, but not quite as large as it used to be on their old menu. This is a good option for vegetarians as it is made with either asparagus tempura or with boiled egg, peanuts and pickled veggies. My tablemates love the one with egg. 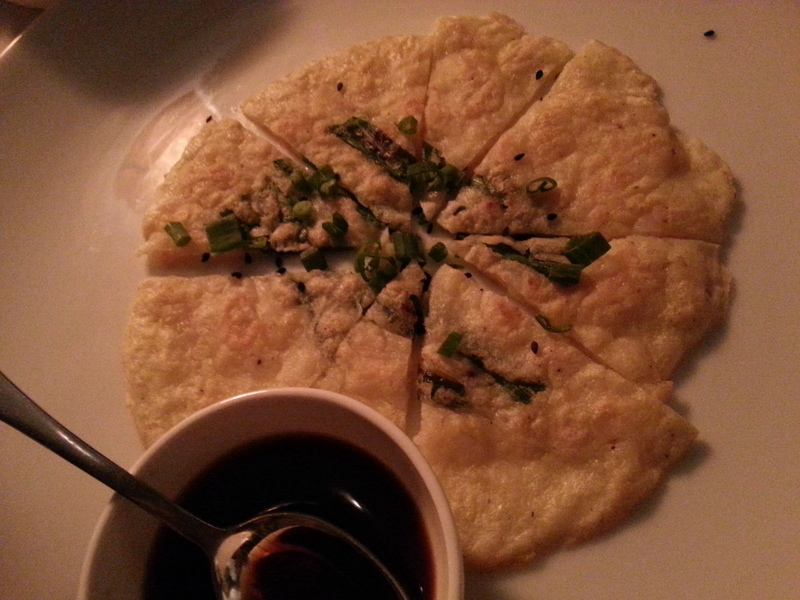 As is the Bin Dae Duk, a chilla-like pancake made with moong beans and scallions. Very close to the traditional Indian palate, this could be a good first course when introducing a first-timer to Korean cuisine. 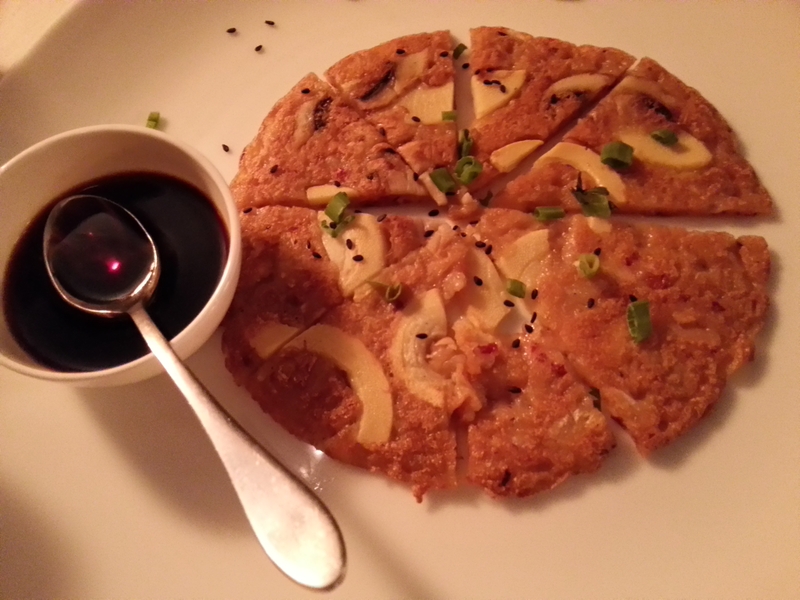 The non-veg version, Pajun Pancake made with squid and shrimp along with scallions, is something I will definitely go back for. It's delicate and yet packs quite a punch of taste. It's visually appealing too. 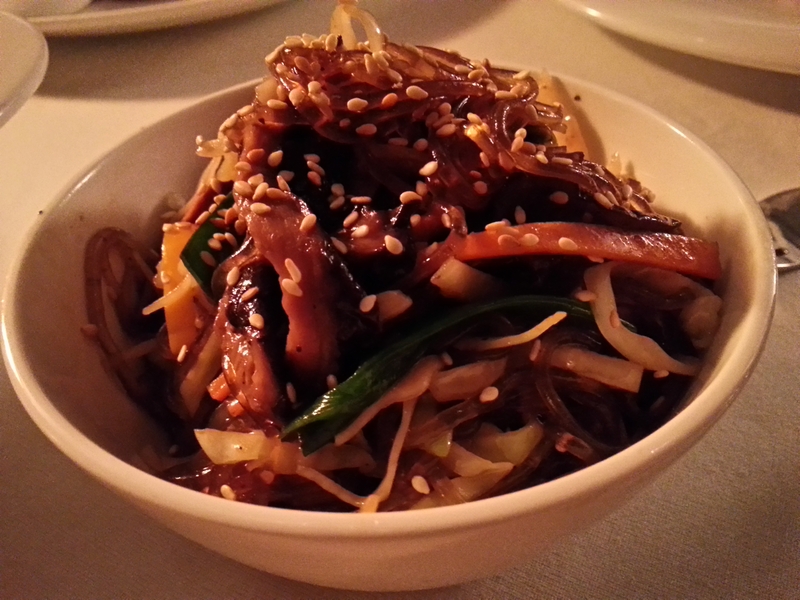 I also love the Japchae Salad, which is made of potato noodles and assorted vegetables. The slippery and glossy potato noodles are almost hypnotic as they slide around my plate the way glass noodles do. It's hard to pop them into your mouth but it's certainly worth the extra effort! This is certainly going beyond what I had expected from Korean in India. Nikhil tells me that the dishes are authentic because they're learnt from a Korean chef who worked with him and the Busaba team for three years. The mains are quite spectacular and I'm lucky I am being hosted by Nikhil, else I wouldn't get to taste all of them in one meal (you have to choose any one if you're going for the set menu). 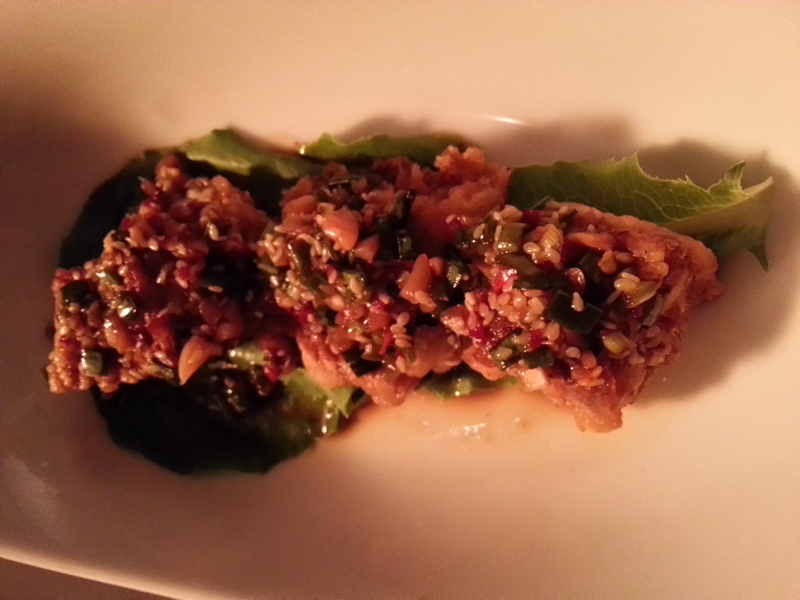 There's perfectly done Crispy Red Snapper with the tried and tested combination of garlic sesame and soy, which has a delicious umami taste. 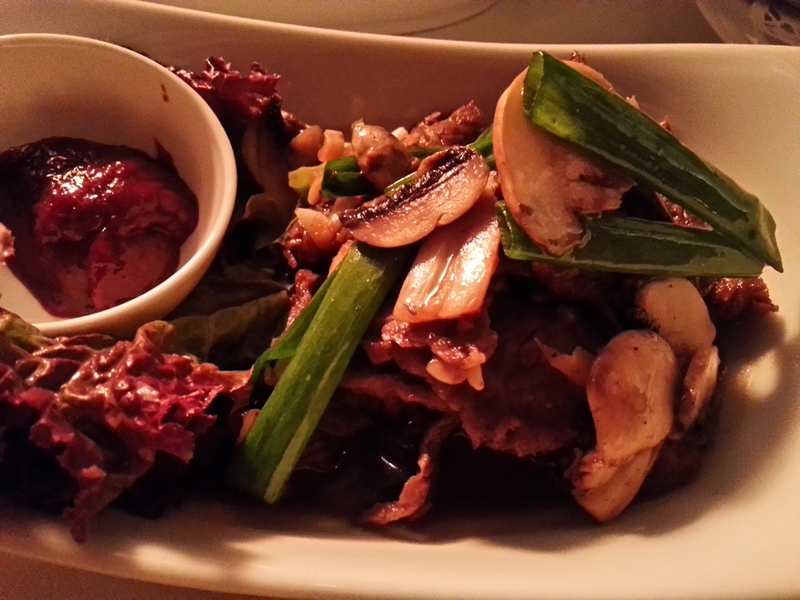 And there's the Beef Bulgogi, which has long been a favourite amongst those in the know. It's beef that's marinated overnight and served with wok-tossed mushrooms and scallions and hints of go chu jang, a spicy condiment made with fermented soy beans, glutinous rice and red chilli. "You should come again tomorrow," jokes Nikhil, explaining, "The flavours will have been absorbed in the meat even better by then." Like all other restaurants, they too are serving the water buffalo beef which hasn't been banned like the other varieties, but it hasn't made any difference to the taste and texture of Busaba's signature Bulgogi. Other restaurants with Korean on their menu may come and go, but this is a creation that Nikhil has honed to perfection over the years and few can come close to his rendition of it. 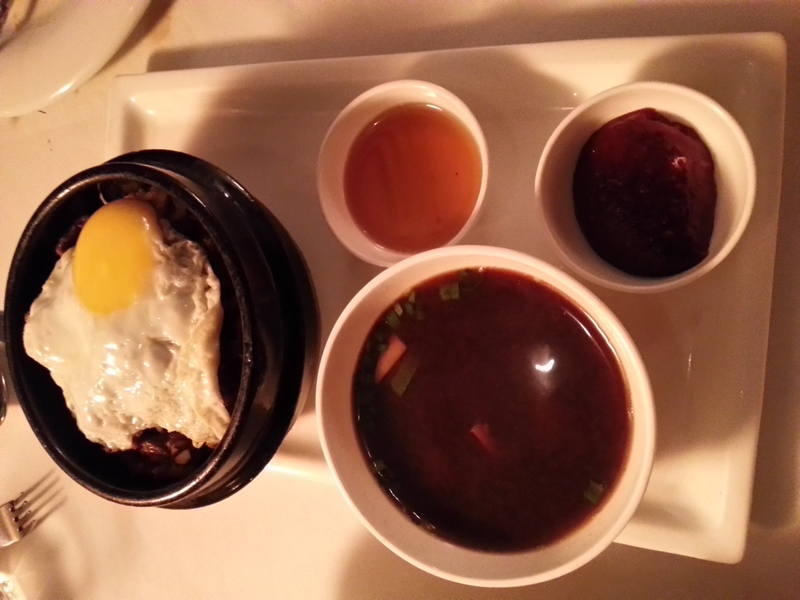 You can also go for Bibimbap, a big meal in a bowl, redolent of sesame oil, comprising sticky pot rice, layered with pickled vegetables and go chu jang, topped with chicken or beef and a sunny side up egg. Vegetarians can get the tofu version, which smells and tastes just as good. Don't forget to ask your steward to mix it all up for you as mamma did when you were a child. If you're going to eat this family-style meal, you may as well do it right, right? 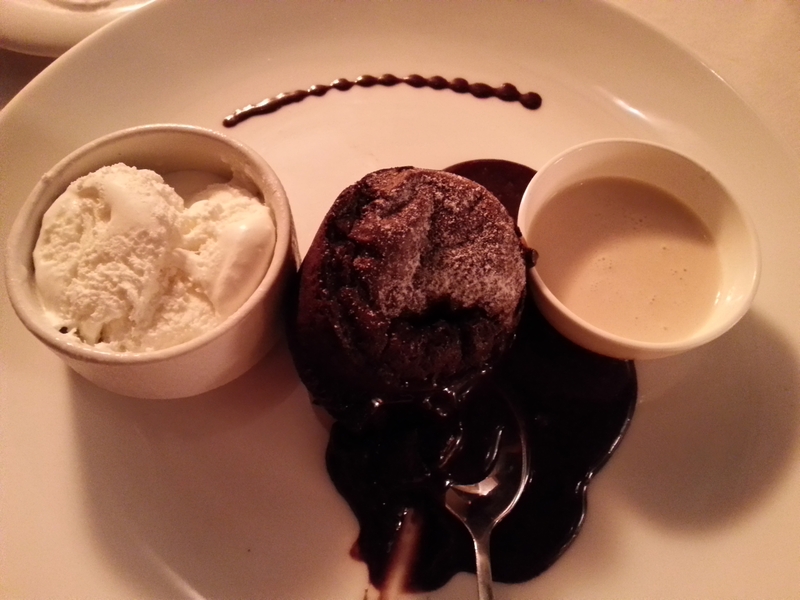 My pick for dessert isn't remotely Korean, but my all-time favourite from their menu, the Chocolate Fondant. A beautifully constructed cake which oozes intensely dark and gooey molten chocolate when you cut into it, accompanied by a coffee-flavoured crème Anglais and vanilla ice-cream. The customary sprig of mint is AWOL this time, but the refreshing conversation revolving around food memories, travel, sourcing ingredients and cooking techniques makes up for it and then some! The Junsik Korean Set Menu (Rs 1,500 per person) is on till July 15, 2015. After that, you can try each of these dishes separately a la carte.